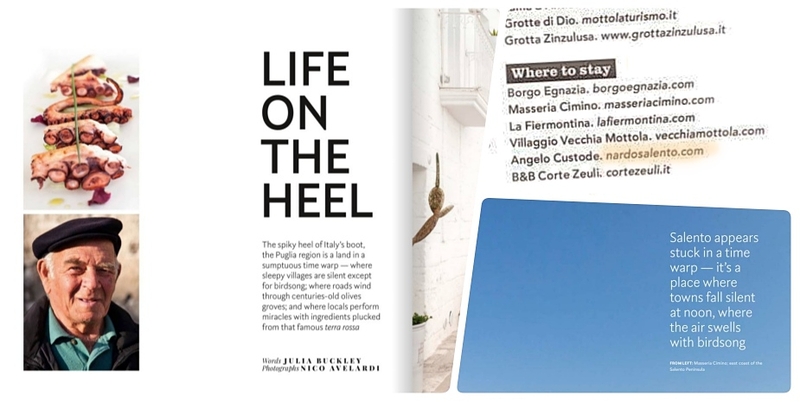 Journalistin Julia Buckley hat im letzten Sommer einen wunderbaren Artikel in NatGeo Traveller geschrieben, wo sie Nardò auf originelle Weise erwähnt: „…I had thought there’d be little more to Nardò than the baroque architecture that makes it a mini Lecce. But the next morning, Niccolò introduces me to archaeologist Dr Filomena Ranaldo. She tells me about Porto Selvaggio, a nearby natural park whose eight cliffside caves were once home to prehistoric man. Excavations are ongoing and there are plans to open a museum in Nardò showcasing the findings later this year and to run guided tours of one of the caves in 2018. What’s been unearthed so far has been extraordinary. The 45,000-year-old teeth found here point to Porto Selvaggio being the earliest-known home of Homo sapiens in Europe. They weren’t the first to dwell here, though.